the top has an intricate moulded edge. with walnut veneers chosen for their attractive figuring. 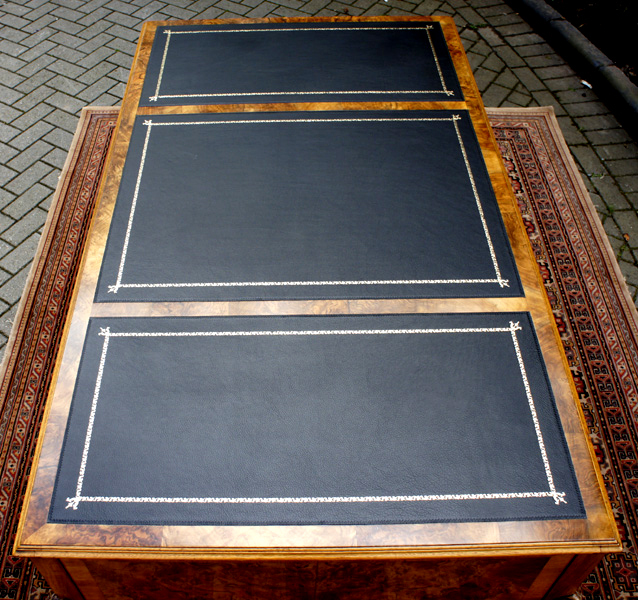 waxing and a replacement black writing hide with gilt and blind tooling. and the top has an intricate moulded edge. 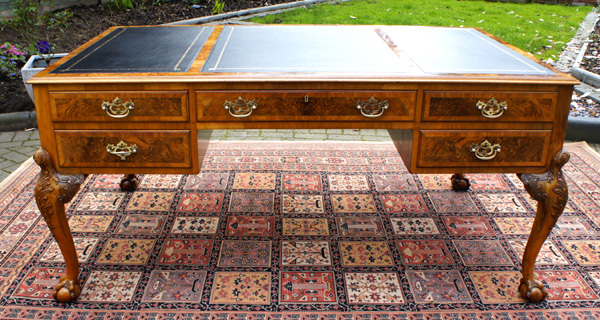 The desk is fitted with five drawers around a knee-hole. All drawers have mahogany linings with hand cut dovetail joints, moulded front edges with cross banding. The handles are original pierced brass and the central drawer has a lock and key. 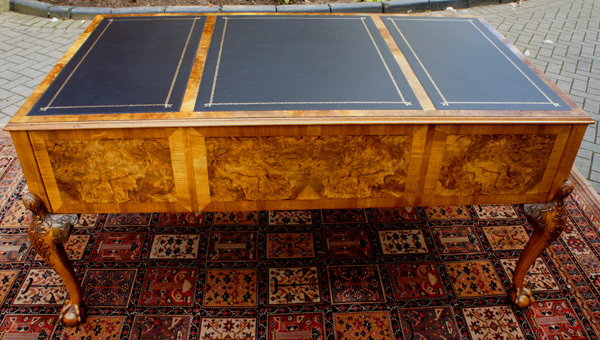 The sided and back of the desk have vignettes of book matched veneers and the desk stands on four carved cabriole legs. The hand carving of the 'acanthus' at the knees and the ball and claw feet are of a very high quality. 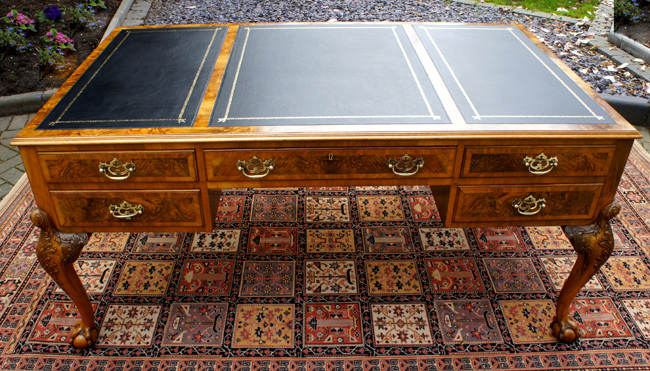 This exceptionally attractive desk is a real stunner and would make a splendid focal point in any office, study or library. 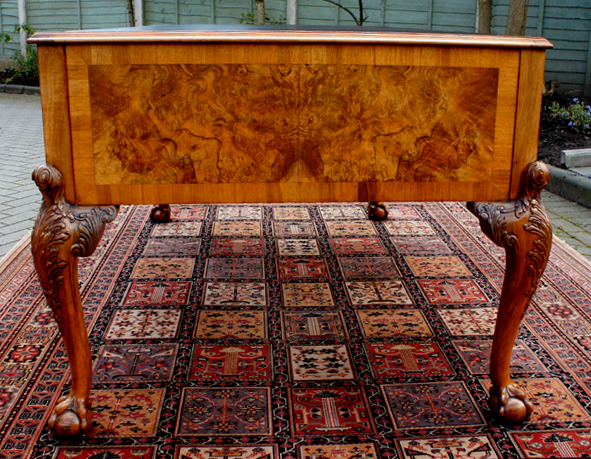 It might also be used as a large dressing table.